Keep it Beautiful Designs: Sibling Rivalry is Real and Netflix Can Help! Sibling Rivalry is Real and Netflix Can Help! Happy Friday guys! Ready for the weekend? It's one of my favourite weekends of the year here in Ottawa. Tomorrow is the Great Glebe Garage Sale where the entire neighbourhood hauls their junk out of their basements and litters their driveways with stuff. The expression, one person's junk is another's treasure couldn't be more true at this event. There is stuff everywhere to be had and for the DIY lover, it's paradise. I'm on the hunt for an old dresser for our baby girl. It's almost time to move her into a big girl room and I would love to give an old dresser a facelift. I found this chair at the big sale a few years ago. It's also Ottawa Race Weekend where the city encourages thousands of runners along their race journey. Mr. Fix-It and I are both running the 10k. Well, he's really running it and a couple of girlfriends and I are doing the walk/run...well more walk ;) I digress. Having three kids is busy. Really busy. The kids are always together. They love each other and play together a lot. It's comforting that they stick up for one another and travel as a team. However, they aren't best of friends at all times. There are days that they can go from playing happily to wham! tackling each other or calling the other person a name they think is awful. A popular one that we've heard the last couple weeks is "you're a bum head" ;) Yup, none of this is the end of the world but obviously we talk to them about this behaviour and remind them that words hurt. We also have a few Netflix shows that are good reminders to the kids to be kind to one another. 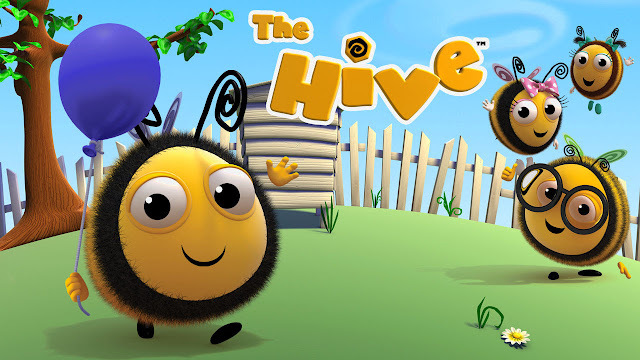 The Hive - Episode: Babee's Room - Buzzabee and Rubee compete over who Babee (their new sibling) gets to room with. Mom and dad must explain to Buzzabee and Rubee that Babee needs to grow up before she can share a room. 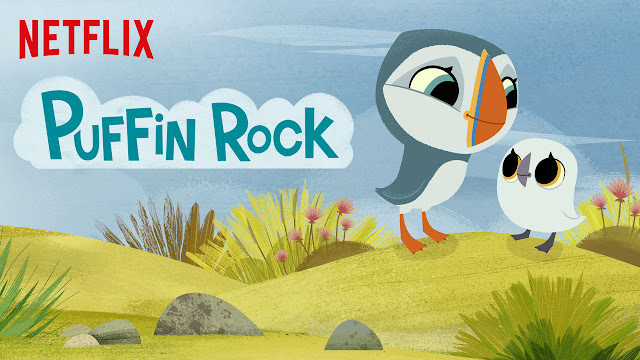 Puffin Rock has a good episode about following the rules - Mama tells Oona and Baba to stay close as a storm approaches. After ignoring her advice, Oona and Baba get stuck in a seagull nest during the storm. Self-love is always good to fuel into your kids' souls. It's our responsibility to do our best to engrain that into our kids. We want them always to feel special, powerful and to love themselves. 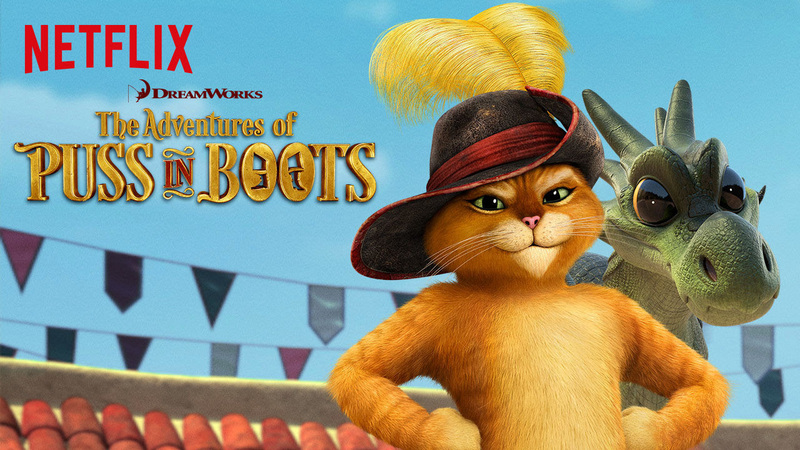 The Adventures of Puss in Boots has a great episode that reminds kids that they are awesome. Feel free to keep these Netflix shows on hand when you need them. As for Mr. Fix-It and I, we're almost finished the Scandal marathon...I don't want it to end it's so good AND I've had a sneak peak at the upcoming season of Orange is the New Black and it doesn't disappoint! Have a fab weekend. I'll let you know what I find at the garage sale. Wish me luck in the hunt for treasures. I'm part of the Netflix Stream Team. Every month I remind you how much I love the Netflix addiction and want to encourage you all to love it too. All the words and thoughts are mine.